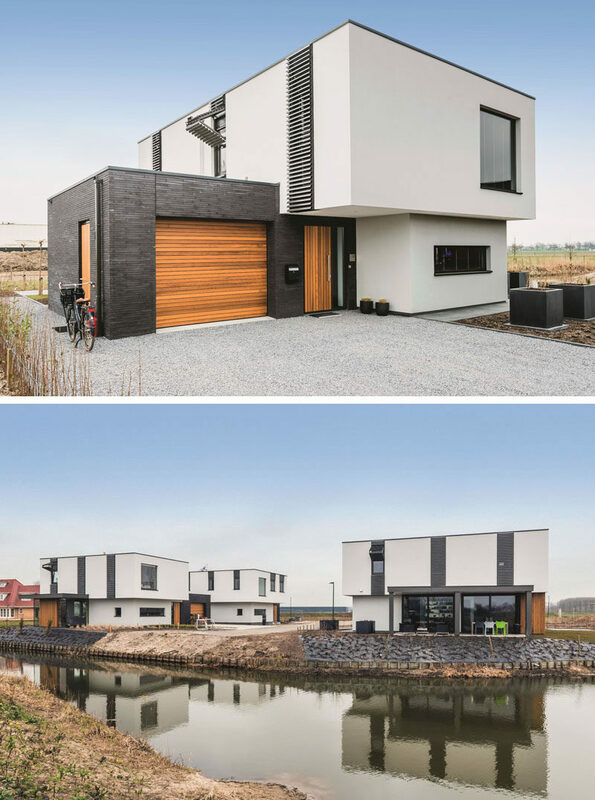 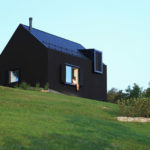 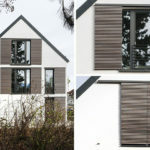 RENSON, a Belgian company that develops and manufactures innovative ideas for ventilation and sun protection, has created a shutter design that works a bit differently than typical shutters. 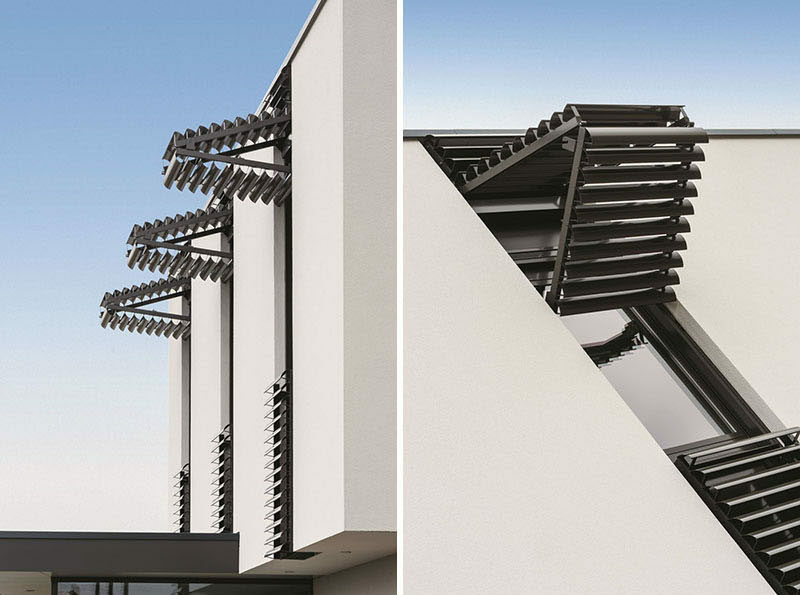 Instead of opening horizontally, these shutters open up vertically. 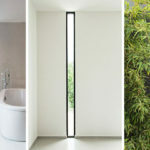 By opening vertically, the shutter is able to fold in half and become a canopy to provide shade when the sun is high in the sky, while exposing the view for the occupants of the home. 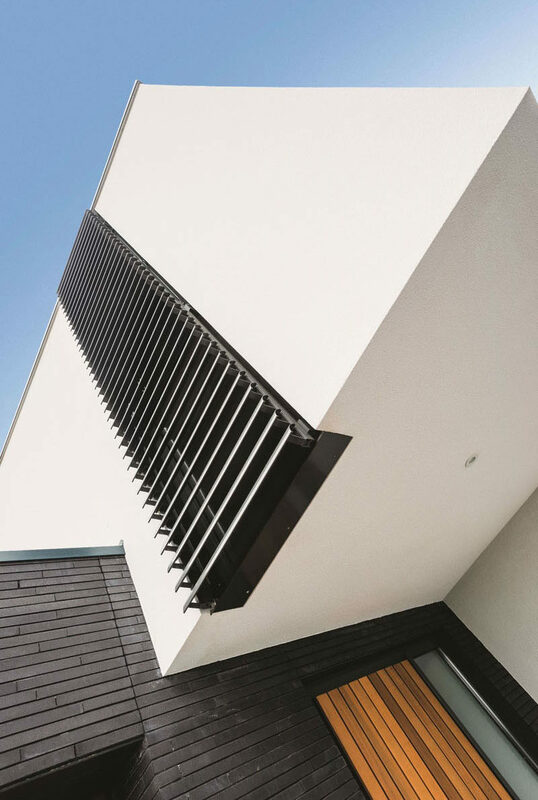 When the shutters are closed, they protect the home by discouraging break-ins and provide wind resistance. 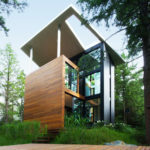 Here, you can see how the look from the inside of the home when they open up.